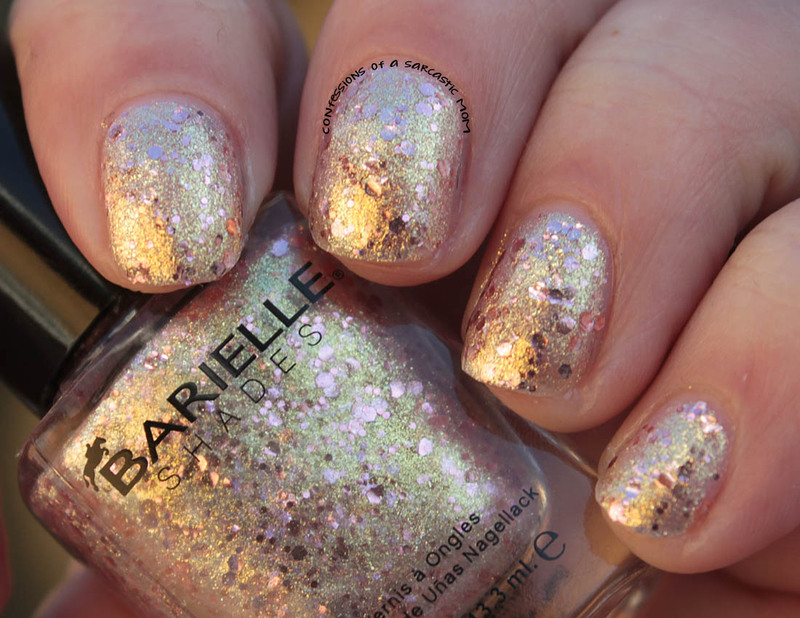 Barielle has two new glitter collections coming out, and I've got one of them to show you today! This 5-piece set is the Bling It On collection. A few could be worn on their own, but some are definitely toppers. I've got swatches after the cut! Shooting Star is so pretty! I believe it's my favorite of this collection. 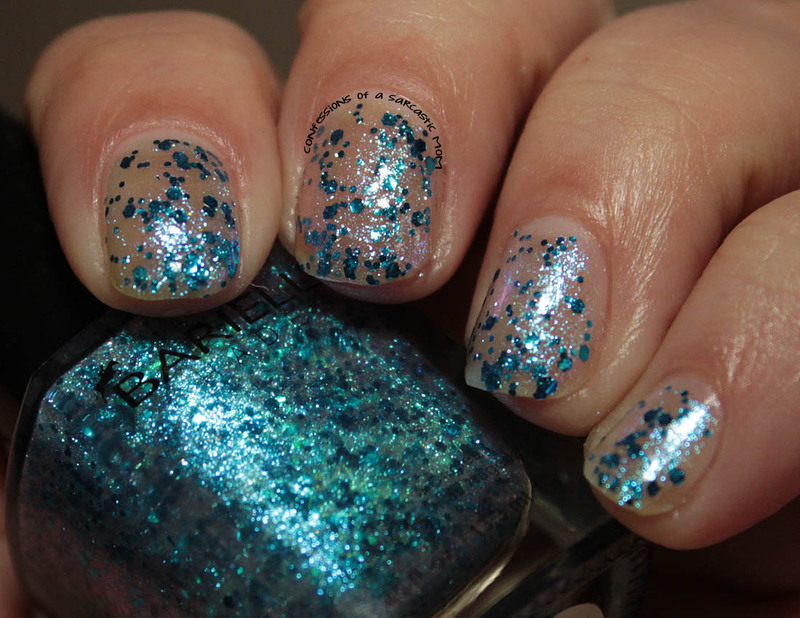 The base is a sheer silvery shimmer, and the bigger glitter pieces are all bright blue. I used 3 thin coats for what's pictured. 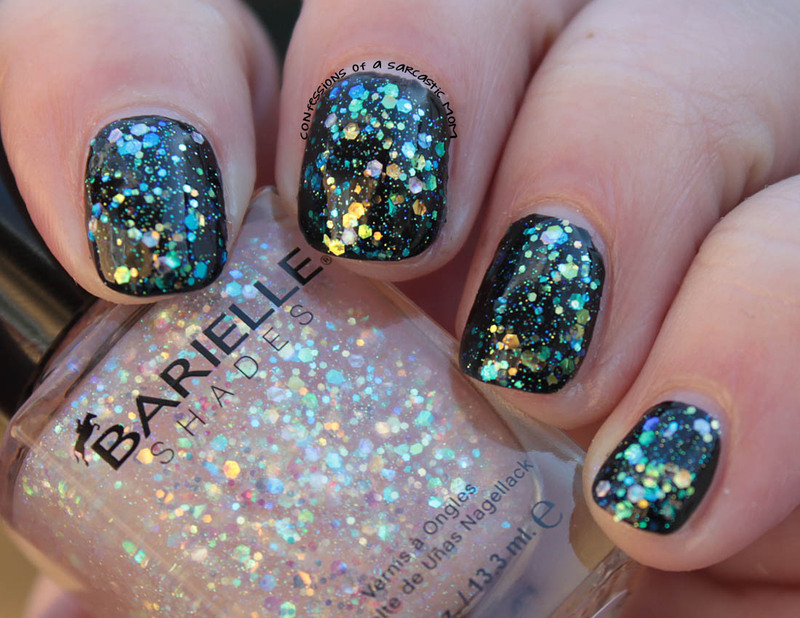 I can definitely see this layered over other colors. 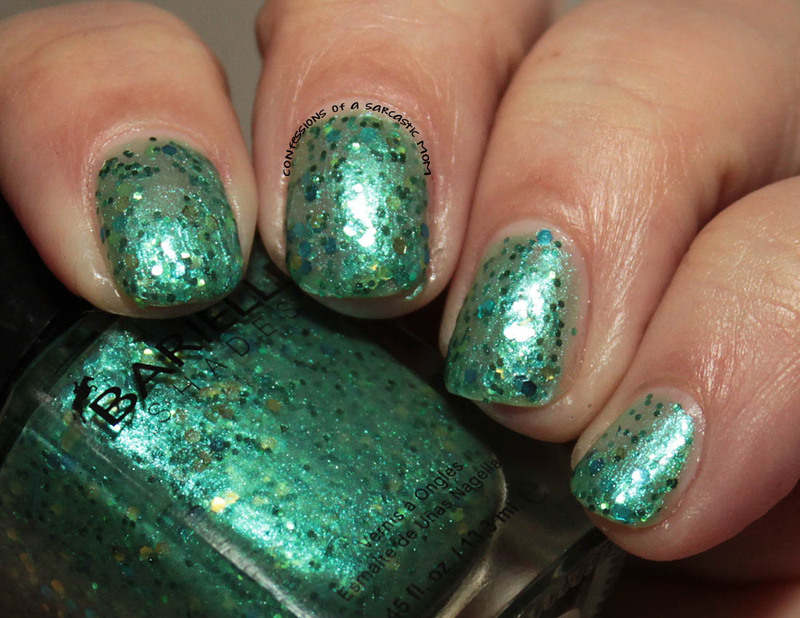 Sea Urchin is pretty much the green version of Shooting Star, with a more pigmented base, It was a little tempermental in application. You can see on my ring finger it slipped a little. Next time I wear this, I will definitely wear it over a base. 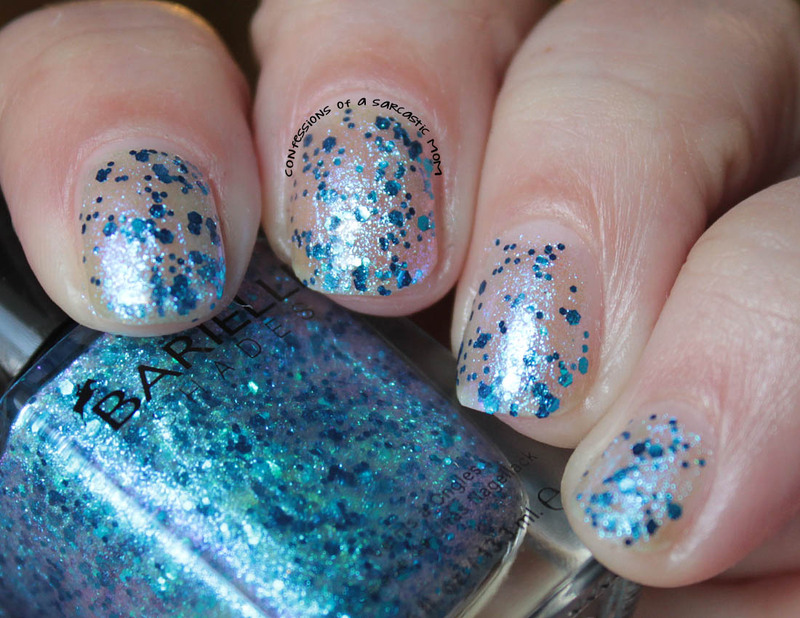 Angel Dust is one of those polishes that will more than likely look completely different over different bases. I chose to showcase it over black. 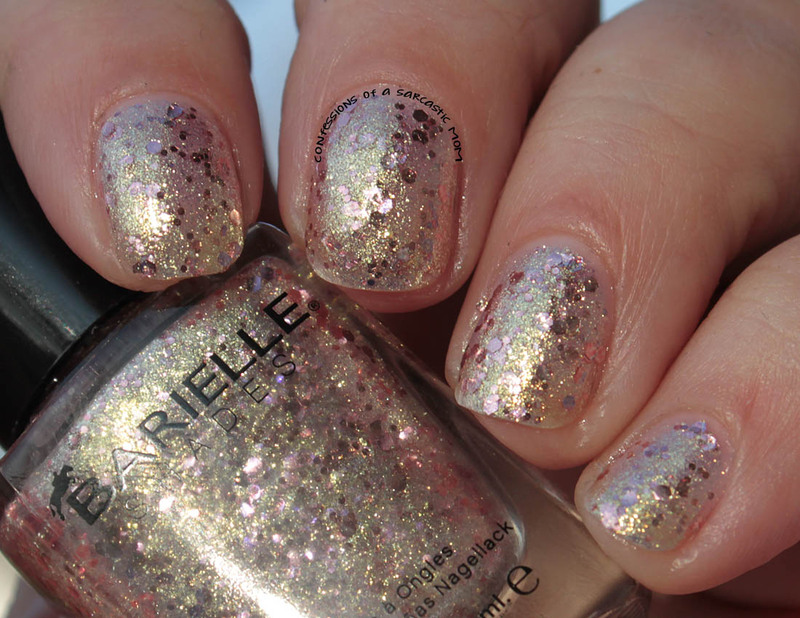 The base of Angel Dust is slightly pinkish, and the glitters are iridescent. It's pretty packed. I used one coat over black. 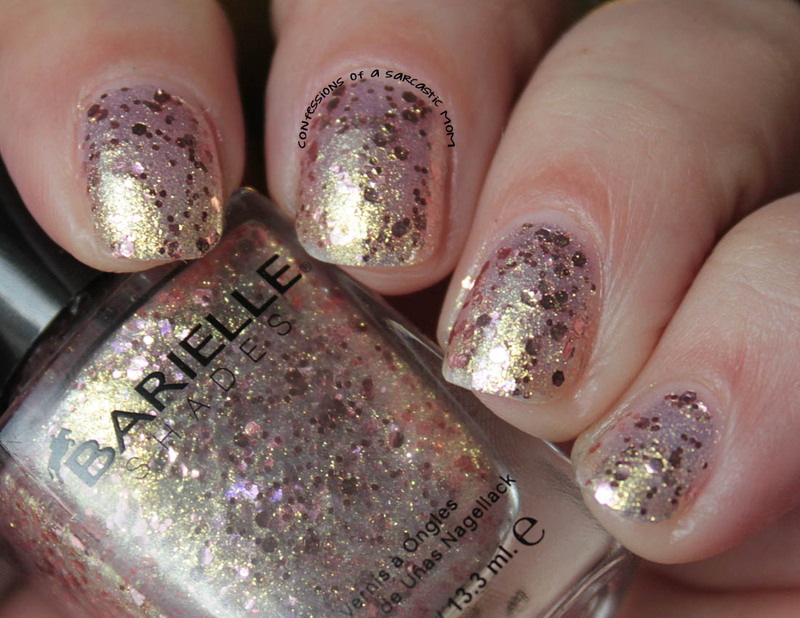 Golden Halo is one of the many new rose gold polishes out now. The base is a shiny gold, and it's packed with pink glitter pieces. It was completely opaque in 3 thin coats. Amethyst is the only one of this collection that didn't quite..... fit. The other 4 in this collection all have the same attributes - slightly tinted base with just about the same type of glitter. But Amethyst is a clear base with giant purple hex glitter. 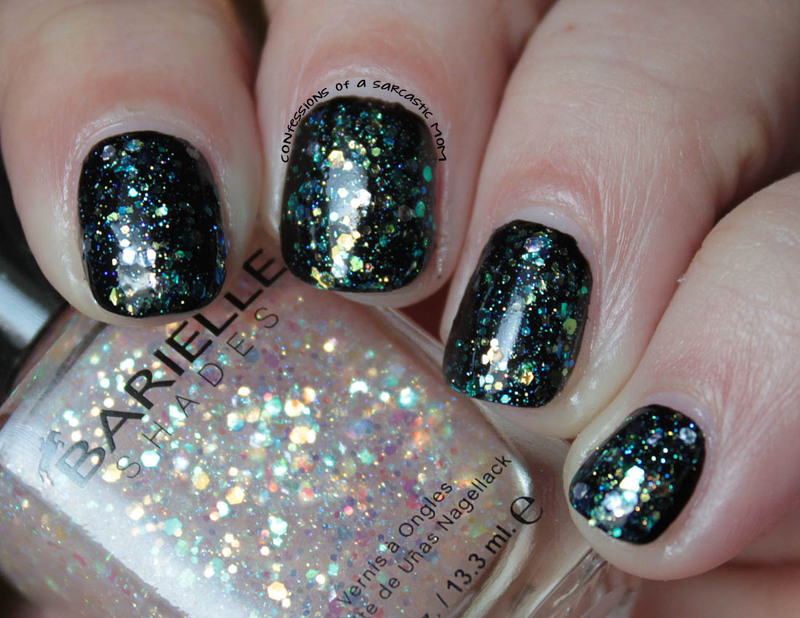 Very unmanagable, dab and place glitter. I tried swiping two coats of it over an off-white base, and it just got clumpy. See anything you like? 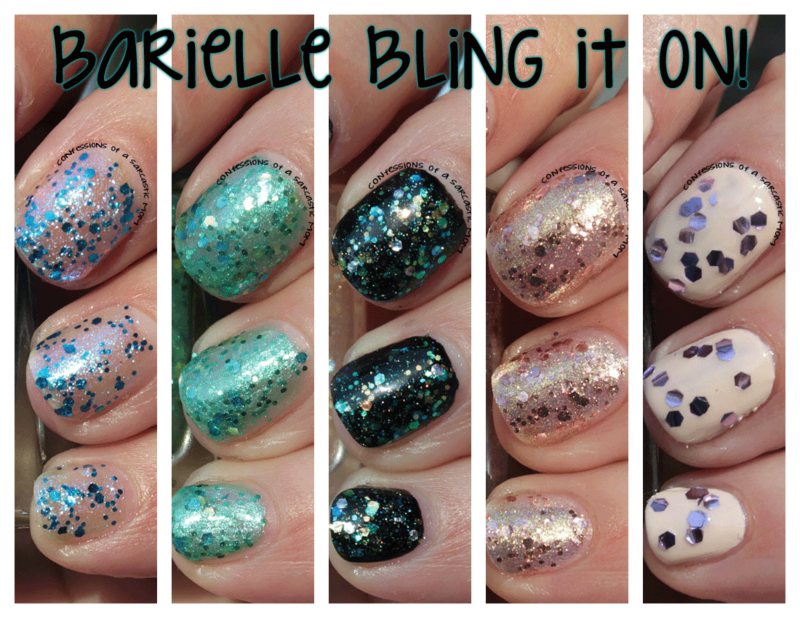 Barielle polishes can be purchased from the website and is priced at $25 for the set of 5 polishes. 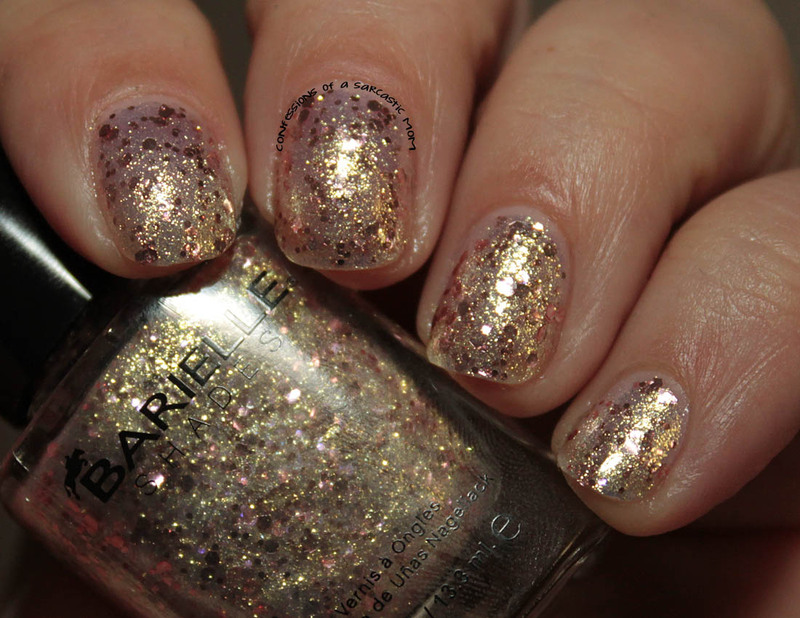 They are 5-free, and Barielle does not test on animals.